It’s that time again – New Year’s and the holidays are over. 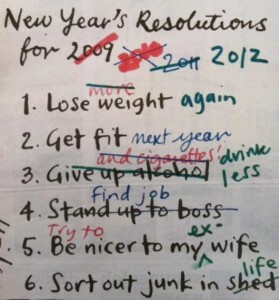 Instead of making a list of unrelated and overly ambitious resolutions (how well did that work last year? ), start by focusing on one word to help make changes in your life. If all of your resolutions have a single, simple theme that is easily remembered and repeated to yourself, you will be far more effective at following through and sticking to your personal goals. What one word will you live by this year? Breathe, relax, love, create? There are so many good ones to pick from! 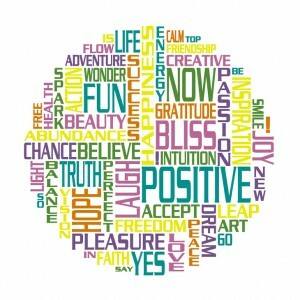 It doesn’t have to be something profound — just pick the first positive word that pops into your head and resonates with you. Go with your gut! When your list of resolutions is too big and broad — for example, to become financially stable, lose a few pounds, get a promotion, spend more time with your family — you’ll get lost, and never actually get anything done. This year, write a new list of more focused, achievable goals, all based on your chosen word (write your word at the top for inspiration!). Think of how much better you’ll feel about yourself when you’ve focused on, say, “health” for a year, even if you haven’t lost some magic number of pounds! Imagine how many ways your tiny little word can inspire you to improve by leaps and bounds, and make it a year of gratitude.